Aveeno products are 20% off at Walgreens this week and you can get a $3 RR WYB 2. The Daily Moisturizing Lotion is on sale this week for $2.39. 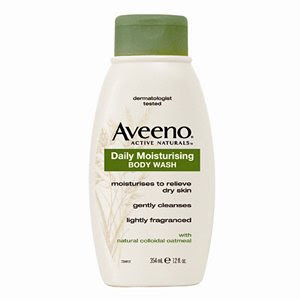 If you printed off the $2/1 Aveeno coupon last month (that was available HERE) you have yourself a nice money maker! (Back to the old adage, print it when you see it not when you need it!) If you didn't you can go HERE for a $1 off and still have a nice deal. Oooo...I think I still have that one in my coupon binder - didn't even think of that! Thanks! I can't get the $1 coupon to print! I turned off pop up blocker, tried at two different computers...aughh! Ugh, that would make me crazy too!